Oberheiden, P.C. is a team of former state and federal prosecutors, former Department of Justice trial attorneys, and other lawyers with significant experience of hundreds of government audits and investigations handled. Request a free and confidential assessment today. What Is the Office of the Attorney General? The Attorney General’s Office for each state is in charge of enforcing state laws. The Attorney General’s Office works with state investigators to investigate and prosecute violations of state laws. The state Attorney General’s Office includes civil and criminal divisions. The civil division pursues monetary judgments against individuals and businesses suspected of receiving improper payments but who have not violated any criminal laws. The criminal division investigates individuals suspected of engaging in criminal activity, including fraud against the state. In some cases, an investigation that begins as civil may be referred to the criminal division if the civil investigation uncovers evidence of fraudulent activity. What Are Letters from the Attorney General’s Office? Once state investigators have identified individuals or entities as targets of civil or criminal investigation, the state Attorney General’s Office may reach out to those targets via a letter. The letter puts the target on notice that it is under investigation by state authorities. In addition, it may request further follow up from the target. Some letters may request a meeting with the target, wherein the government will present its case against the target in an effort to achieve a monetary settlement or a plea agreement. More often, letters from the Attorney General’s Office will request documentation from the target. If the letter comes from the civil division, it is knowns as a “civil investigative demand.” Letters from the criminal division usually take the form of grand jury subpoenas. In either case, the target’s response to the document requests is mandatory. Although individuals are required to respond to the document requests issued in a letter from the Attorney General’s Office, there are certain limitations on what the attorney general can request. Nonetheless, state representatives often present requests that exceed the scope of what they are allowed to request. Likewise, targets may not realize the scope of their obligations to respond to a request. 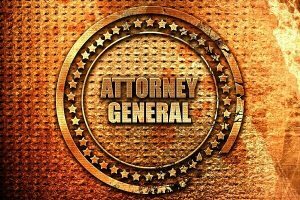 Therefore, it is always imperative to have an experienced defense attorney advise you on how to respond to an attorney general letter. The Attorney General’s Office can only request documents; it cannot request information itself. In other words, the request cannot demand a narrative response from the target. Nevertheless, many letters include requests that invite targets to provide narrative responses. Because such requests are improper, you do not have to respond to them. You never have to provide a narrative response to a document request in a letter from the Attorney General’s Office. Proper: For each office where you have practiced within the past six years, documents evidencing the name and address of each officer, director, or manager of those offices and documents evidencing each person’s position. Improper: For each office where you have practiced within the past six years, provide the name and address of each officer, director, or manager of those offices and documents evidencing each person’s position. In the first example, the request is limited to documents that evidence the requested information, whereas the second example asks the target to provide a narrative response containing the request information. However, if you do provide a narrative response to a document request, your response can, and often will, be used against you in the attorney general’s investigation, regardless of whether the initial request was technically proper. Along those same lines, the Attorney General’s Office can only request documents that are already in existence. It cannot demand that a target create a document that is responsive to its request. Therefore, if a responsive document does not exist, you should not create a document to respond to a document request. What Should You Expect to See in Letters from the Attorney General’s Office? Document requests from the Attorney General’s Office often include detailed instructions that describe how the target should respond. Such instructions may explain acceptable formats for producing documents in an electronic format. They may also direct the target to include a cover letter with its document production and list what information should be included in the cover letter. Importantly, the letters also often include a “Definitions” section that describes how the target should interpret certain key words contained in the requests. Finally, these letters will often contain a “Business Records Affidavit,” which the target must sign and have notarized. In executing the Business Records Affidavit, the target avers that the documents provided are kept in the normal course of business. The affidavit is a legal mechanism that allows the responsive documents to be used as evidence in future legal proceedings. What Are Typical Document Requests from the Attorney General’s Office? While every case is unique, the documents requested by the Attorney General’s Office typically follow certain common themes. From our experience representing clients in hundreds of state investigations, we have seen the following requests appear time and again. Documents identifying the business address of all offices, including branch and subsidiary offices, where you have practiced within the past six years. Documents evidencing or relating to the formation and internal governance of each office where you have practiced within the past six years. For each office where you have practiced within the past six years, documents evidencing the name and address of each owner and documents describing the ownership percentage of each owner. For each office where you have practiced within the past six years, documents evidencing the name, address, and/or telephone number of any outside agents or representatives of those offices relating to patient acquisition and/or retention. For each office where you have practiced within the past six years, copies of all licenses, surety bonds, registrations, or other authorizations obtained relating to conducting business within the state. Organizational charts for each office or entity where you have practiced within the past six years. Complete patient files for each of the patient files named on the list attached hereto as Exhibit A as they exist as of the time you receive this request. All billing records for each of the patients listed in Exhibit A. Documents providing a legend of any acronyms located within the patient files for the patients listed in Exhibit A. For each office or entity where you have worked within the past six years, documents evidencing or relating to internal policies and procedures for the provision of services to patients. Blank samples of or templates of forms used during the course of treating patients including, but not limited to: patient registration forms, medical history, HIPAA acknowledgement, consent for treatment, treatment plans, referrals for specialty care, and pre- and post- treatment instructions. Documents evidencing or relating to complaints received from patients or from their parents/guardians. Documents including but not limited to employee rosters and any other documents identifying the name, title, and/or employee number of any person who has been or is currently employed by you or has worked or currently works on your behalf. The personnel file of every employee who has worked or currently works on your behalf. Documents evidencing agreements or contracts between you and any person employed by you. A copy of every medical practitioner’s National Provider Identifier (NPI) who delivered health care services to patients on your premises. A copy of every medical practitioner’s health care license who delivered health care services to a patient on your premises. For each office or entity where you have worked within the past six years, documents evidencing or relating to the name and title of each person who is, or has been, responsible for formulating, directing, controlling, supervising, and/or executing procedures and practices for marketing services to patients. For each office or entity where you have worked within the past six years, documents evidencing or relating to policies and procedures regarding the compensation of employees, representatives, or contractors involved in marketing and developing new accounts, including the use of any awards, commendations, remuneration, or monetary incentives for their efforts. Communications related to your marketing services to patients. Guidelines provided to any of your employees for marketing services to patients. Invoices or purchase records related to all items acquired by or for you for distribution to patients or prospective patients. Documents reflecting your policies and procedures provided to marketing employees or contractors. For the patients listed in Exhibit A, documents reflecting or identifying which marketing employee or contractor communicated with the patient prior to the initiation of treatment. Training materials provided to employees or contractors assigned to marketing. Communications between marketing employees or contractors and prospective patients. Prepared correspondence provided to marketing employees or contractors. Schedules for marketing employees or contractors. Flyers distributed by marketing employees or contractors. Records related to any meetings among marketing employees or contractors. Payroll records for all health care practitioners you employed. Policies regarding compensation of any health care practitioners currently or formerly employed by you. Documents evidencing or relating to patient scheduling, including but not limited to appointment books, schedules, and sign-in sheets. All provider production per patient visit records for all patients. Documents reflecting your policies and procedures provided to health care practitioners employed by you. Training materials provided to your health care practitioners, medical assistants, and medical billers. Documents reflecting your policies and procedures regarding reimbursement requests for insurance claims. Records setting forth your document retention policies. Documents or communications related to regular staff meetings. At Oberheiden, P.C., we have built a solid reputation as a trusted resource for clients facing federal investigations. Following are only a few of the many reasons why our clients trust us. Our attorneys enjoy decades of experience dealing with federal investigations and prosecutions. If you need guidance on complying with federal regulations, we can help. If you are being investigated by the federal government, our experienced attorneys will join the fight and see to it that you face as few negative consequences as possible. Several of our attorneys enjoy years of experience as federal prosecutors with the Department of Justice. After gaining priceless experience, they dedicated the remainder of their careers to defending clients targeted by the very system they were once a part of. Due to this wealth of experience, we have the ability to view your case from the opposing party’s perspective, and to craft a defense strategy that exploits the inherent weaknesses in the government’s approach. 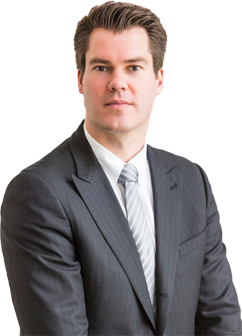 Many of our clients have been surprised by outcomes that resulted in no civil or criminal liability. Federal investigations are no joke – millions of dollars, loss of eligibility for government programs, and even your personal freedom could be at stake. We have successfully concluded a multitude of cases involving the Department of Justice and many other federal agencies. When the federal government launches a health care fraud investigation, it assigns a veritable army of investigators, federal agents, and prosecutors – all of whom are trained to work cohesively against you. With so much at stake, you are going to need a team of your own that knows how to fight back. At Oberheiden, P.C., we all pull together as a team to provide you with the best possible defense. We know from personal experience the potentially devastating effects that a federal investigation can have on you, your family, and your company. We are absolutely dedicated to minimizing the disruption to your company’s operations as well as your personal peace of mind, so that your case can be resolved as quickly and as cost-effectively as possible. If you are under investigation, subject to prosecution or audit by the Attorney General’s Office, you should contact the former state and federal prosecutors at Oberheiden, P.C. today. You can reach one of our senior attorneys seven days a week, including weekends. Who Will Handle Your Medicaid Audit? Medicaid audits can be stressful. The attorneys of Oberheiden, P.C. offer clients decades of experience and insights from leading positions within the Department of Justice and the Attorney General’s Office. We have successfully assisted clinics, hospital systems, physicians, dentists, pediatric dentists, and other Medicaid providers and avoided referrals to the U.S. Attorney’s Office and prosecution in 100% of our clients’ cases. Call our experienced attorneys today for a free and confidential case assessment.